Just when you thought it was safe to go to college! 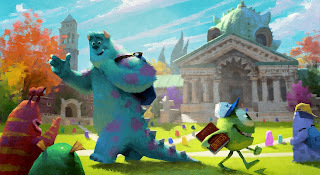 Monsters University hits theaters June 21 but you can visit Mike and Sulley here. 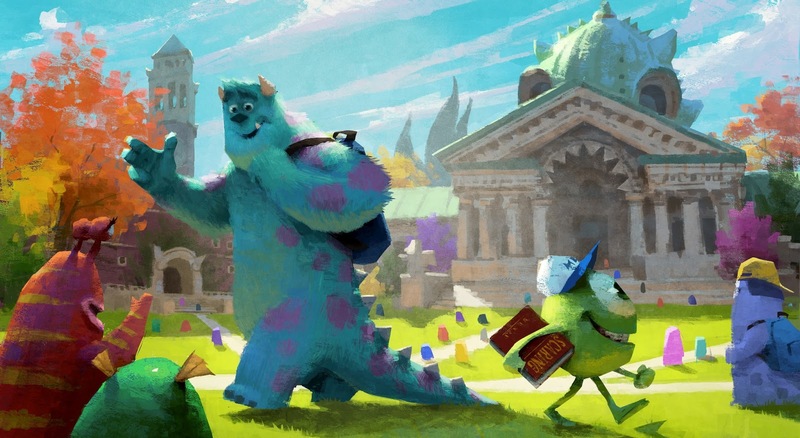 Your favorite Disney Monsters are going to College! Find out where they learned how to scare! They need a lot of fuel to learn and now you and your kids can help them! Milk gives them super powers that your children will love! The Monsters University needs YOU to help their Monsters fuel up for the day with the Beastly Breakfast Blitz Game! Help Sulley and Mike get a healthy start on the day by serving them up helpings of Scary O's, Belchin Waffles, Howl Wheat Toast, Berry Scary Smoothie, Bagels and Scream Cheese, Haunted Hash Browns, of course Milk and More! There are many fun wallpapers for your computer with all of your favorite characters from the movie for you to download. 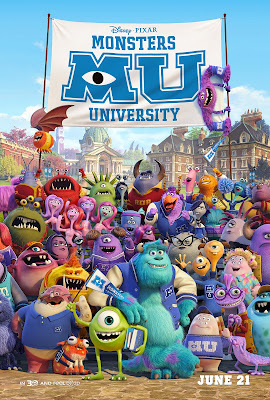 There is even a downloadable Monsters University Student card for your child (you) to print and design. For your little ones, there are printouts and activities to enjoy. I am just warning you though... This game is challenging and VERY addicting!